Marcus Smart has proven to be an essential piece to the strong team the Boston Celtics are building. The Texas native, who was selected in the 2014 NBA Draft as the sixth overall pick, is known to be a tough-minded player whose value to the team cannot be seen on the stats sheet but is however felt by teammates. 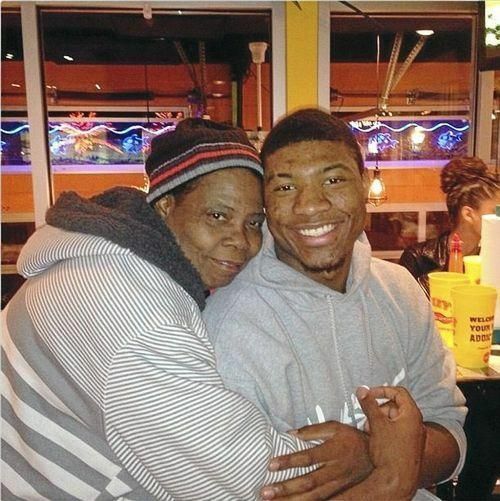 Marcus Smart was born to Camellia and Billy Frank Smart on the 6th of March, 1994 in Flower Mound, Texas. As a young boy, he showed a considerable amount of talent in basketball and football, as well as the hunger and competitiveness needed to excel in them. Smart, however, stopped playing football in the sixth grade and began to concentrate on basketball. He went on to attend Edward S. Marcus High School where he was considered one of the best players in the state. He led his team to two 5A state championships on the back of a 115–6 record over three years. In his senior year, Smart averaged 15.1 points, 9.2 rebounds and 5 assists per game and was named a McDonald’s and ESPNHS All-American, but most importantly, he was awarded the 2012 Texas Mr. Basketball Award. After high school, Marcus Smart enrolled at Oklahoma State University where he became an instant sensation, leading his team to a 24-8 record and a Big 12 third-place finish behind 15.4 points, 5.8 rebounds, and 4.2 assists per game. Despite crashing out in the first round of the NCAA bracket that year, Smart was named Big 12 Freshman of the Year, Big 12 Player of the Year, USBWA National Freshman of the Year, and to the First-team All-Big 12. Rumor had it that Smart was going to forgo his remaining college years and go straight to the league but he, however, opted to return to his school for his sophomore season. He averaged 18.0 points, 5.9 rebounds, and 4.8 assists per game and was named one of the 30 finalists for the Naismith College Player of the Year Award. He was further named again to the First-team All-Big 12 selection after which he declared for the draft where he was selected by the Boston Celtics as the sixth overall pick. After his first season in the big leagues, Marcus Smart was named to the NBA’s All-Rookie Second Team. He earned the nod by starting 38 of the 67 games he appeared in and by averaging 7.8 points, 3.3 rebounds, and 3.1 assists. He further averaged 9.8 points, 2.8 rebounds, and 1.3 assists in 4 playoff games. In the 2015-16 season, Smart averaged 9.1 points, 4.2 rebounds, and 3.0 assists. He notably also managed his first career triple-double in that season in a game against the Phoneix Suns where he came off the bench to record 10 points, 11 assists, and 11 rebounds. In the 2016 playoffs, he averaged 12.0 points, 4.5 rebounds, and 3.0 assists in 6 games. For the 2016-17 season, he averaged 10.6 points, 3.9 rebounds, and 4.6 assists per game. In the 2017 playoffs, he averaged 8.6 points, 4.7 rebounds, and 4.7 assists per game in 18 games. In the following season, he averaged 10.2 points, 3.5 rebounds, and 4.8 assists per game. In the 2018 playoffs, he recorded an average of 9.8 points, 3.7 rebounds, and 5.3 assists in 15 games. In 2014, after joining the Boston franchise through the draft, Marcus Smart put pen to paper on a 2-year $6.71 million contract. Midway through that contract, Boston opted to extend the deal by offering the player a one year $3.58 million contract extension which he signed. On the 31st of October 2016, Boston opted to extend Smart’s contract again for the 2017-18 season, offering him $4.54 million. After having played for four seasons in the NBA, Marcus Smart qualified to become an unrestricted free agent, but he was tendered a qualifying offer of $6 million on the 29th of June 2018 which meant the Celtics maintained negotiating rights. The Celtics were able to do this because Smart had been on a one-year contract. A few weeks after the offer, Smart signed a four-year $52 million contract to remain with the team, putting his average annual salary at $13 million. Marcus Smart maintains a very close relationship with his family who he credits for keeping him on a straight path to get to the NBA. This includes his parents and three older brothers: Todd, Jeff, and Michael. When Smart was nine years old, the now tough-minded guard, lost his oldest brother, Todd Westbrook, to cancer. Todd was on his way to becoming a basketball superstar until he was diagnosed with the disease at the young age of 15. He went on to have a long battle with it before kicking the bucket after turning 33 in 2004. In April 2018, Smart revealed that his mother has been diagnosed with cancer as well, bone marrow cancer to be specific. He went on to reveal that a bone marrow transplant was not a possibility for his mother but that the doctors and every other person involved were working hard to find a possible solution.